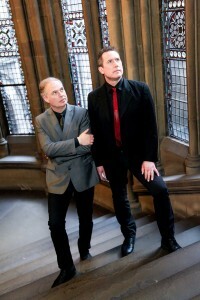 OMD will be headlining the Sunday show at July’s Rewind Scotland Festival this year. Sunday 28th July will be headlined by OMD with performances from Level 42, Tony Hadley, Belinda Carlisle, Nik Kershaw, The Blow Monkeys, The Blockheads, Jason Donovan, Cutting Crew, The Flying Pickets, Sonia, and Earth Wind & Fire Experience featuring Al McKay. Rewind Scotland Festival will again take place at the historic setting of Scone Palace in Perthshire. The festival includes additional festivities ranging from Silent Discos to Live Karaoke bars along with various Camping and Glamping (Glamorous Camping) options. The Saturday show on 27th July will be headlined by Ali Campbell’s UB40 with support from Kim Wilde, Mike + The Mechanics, Starship, Rick Astley, Howard Jones, Soul II Soul, Heather Small, A Flock Of Seagulls, Red Hot Chilli Pipers, Captain Sensible, and Odyssey.